It uses math and optical sensors to simulate the effect of a lens. Even as our phones get thinner, there's one spot that keeps sticking out: the camera lens. Taking good pictures and being able to focus at multiple distances requires a layer of glass that's a certain size, but there's really no getting around it -- or is there? Researchers at Caltech have devised (PDF) an "optical phased array" chip that uses math as a substitute for a lens. By adding a time delay -- down to a quadrillionth of a second -- to the light received at different locations on the chip, it can change focus without a lens. According to Professor Ali Hajimiri, it "can switch from a fish-eye to a telephoto lens instantaneously—with just a simple adjustment in the way the array receives light." The principle is similar to the way phased communication arrays can focus and steer radio waves in a particular direction, but working in reverse. Back in 2014, the team showed off similar technology turned around to create a projector small enough to fit inside your phone, while another application showed the potential for making your phone into a precise 3D object scanner. 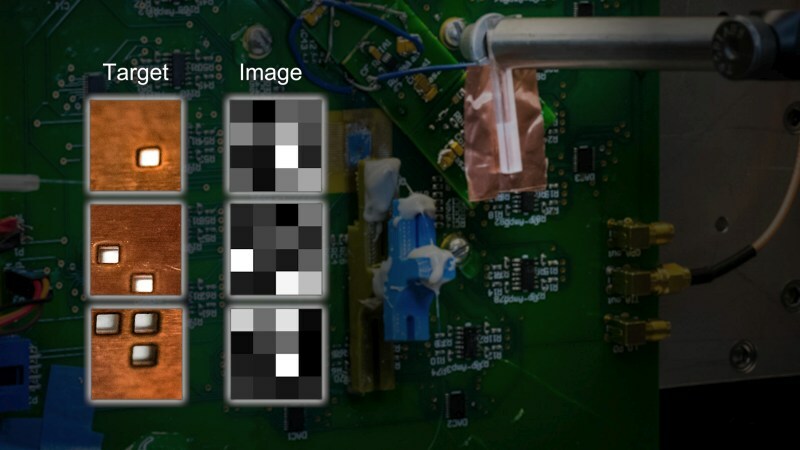 Now, for the first time, it has created a 2D, lensless camera array capable of capturing a low res image of a barcode. The image itself isn't particularly impressive compared to what your iPhone is capable of, but as a proof of concept, it's a big deal. 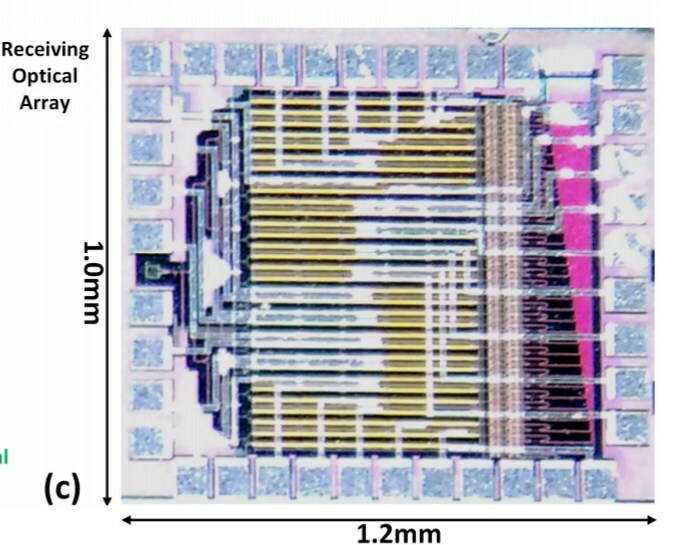 Right now the chip consists of an 8x8 grid with 64 sensors, and the team's next goal is scaling the camera to support larger receivers that are more sensitive and capture a higher-res picture.